Why is the Nintendo Switch so popular among indie mobile devs? The Nintendo Switch has been nothing short of a revelation since its 2017 launch. On top of that, with a welcoming interface and Nintendo’s watchful eye over who can publish games on the platform, it’s proven to be a mobile indie’s dream of late. For all the mobile market's accessibility, it is often referred to as an over saturated market, with Apple and Google endeavouring to highlight its indie communities to combat visibility issues. Despite the vibrant mood surrounding the platform, however, it is still relatively new. To delve further into the Switch’s appeal to indies, we asked our Indies Mavebs for their input. Why do you think the Nintendo Switch has grown in popularity for Indies? Have you been tempted to release on the platform? First of all, we really enjoy the platform as players. I personally love being able to take an in-depth experience with me anywhere I go. The Legend of Zelda: Breath of the Wild is a perfect example of a game that can be enjoyed in 20-minute bursts, or long three hours sessions on the couch with a big screen. Beyond the obvious advantages of outdoor mobility, within the home it's handy that you can free up the main TV by unplugging and playing elsewhere in the house - surprisingly I play most of my games in handheld mode. On the developer side, the numbers simply make good business sense because players are spending. The reason why I think the Switch has consumers willing to drop money so easily is that the store is designed to encourage perusing and choosing, and is hugely benefited by the relatively small amount of titles so far. We shouldn't forget how strong some platform's automated curation is getting. That could light a fire under consumer spending if they get it right. The store design currently works because there are only a few games on the screen at once and due to the size of each game in the list you consider each one more closely. Then you keep seeing those titles in several featuring spots and I think those two things combined really encourage spending. Many other storefronts throw too many games at you, so they all become a blur, and relatively worthless because there's just so many to look at. Further to the Switch's strength, they naturally feature upcoming and just released games in numerous places at once, and as a consumer you can basically keep an eye on everything that's launching and pick from it comfortably. This is made possible by the low volume of course. The 'take it with me everywhere' and good store design points also work together nicely. Since its the one dedicated gaming platform I can take with me everywhere, I'm much more comfortable buying games I know I'll play eventually and so I stock up on a lot of games. All that being said, it's not impossible for other stores to take better advantage of their large libraries, or greater capabilities. And we shouldn't forget how strong some platform's automated curation is getting. That could light a fire under consumer spending if they get it right. There are definitely multiple factors at play here. First, it's a brand new platform which has not reached saturation yet, so there are plenty of customers that bought into the Switch and are hungry for content. Those customers seem to fall into the more traditional console-player persona, so paying $80 for a game like Zelda or Mario is not foreign to them. Nintendo has been very good at managing the 3DS ecosystem to ensure that games maintain a healthy price point and unlike others in the industry, they don't discount their games as heavily or as often. For the Switch consumer, a $20 indie game feels like a great bargain. 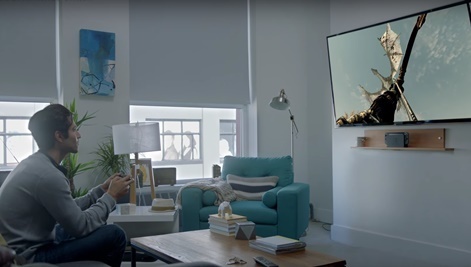 The mobile-to-TV use case that Nintendo has created is really compelling and I've seen people re-buy games that they already own so they can take them on the bus or plane with them. It's way more convenient than a laptop and the built-in controller allows it to deliver experiences you just can't get on mobile. You've got a platform that attracts a really good customer, and indies are rightfully capitalising on that opportunity. Second, Nintendo has been much better about opening up their platform to indie developers in recent years. The Switch represents a really great opportunity for mobile developers that might have been pushed out of mobile due to the race-to-the-bottom price and free-to-play competition. The Switch has good support from game engines like Unity and Unreal, and it's a surprisingly powerful machine for its form-factor. Nintendo wants indies to come to the platform to complement its first-party offerings. Most triple-A games released today can't run on the Switch hardware, but most indie titles can (provided the developer can spend some development time optimising a little bit). The caveat to this is that lots of developers skimp on the optimisation or aren't used to dealing with the constraints of a platform like the Switch, so their games run poorly on the hardware and get bad reviews. It's a really great platform and I hope Nintendo continues to maintain its quality standards. That is what sets it apart from fully open platforms like mobile and now Steam. We are releasing our next game Speed Brawl to console and we will be supporting the Switch at launch. As a mobile developer coming to a console platform, the Switch is great. Our mobile experience means that we are used to dealing with the performance and memory constraints that a platform like the Switch imposes so that the game will run better than an average indie title on Switch. The built-in gamepads mean that we can deliver a full-featured experience without having to clutter the display with on-screen buttons and fingers. Unlike mobile, we can also add really great coop support to our games. I'm not surprised to see mobile developers embracing it. We just launched our first game on Nintendo Switch with Bomb Chicken a few weeks ago. For us, it was a few things. We like a lot of indies have a great love for Nintendo. Their games were a huge inspiration to what we do and so I think it was always an aspiration to have games on one of their consoles. They have made it far easier to get games on their console this time both with generally how helpful they have been and with the level of support they have for indie-friendly dev tools from the start. The form factor of the console seems to work well for indie games. The portability seems more appealing to end users than having the most high-end graphics and that attitude of the audience means indie games find an audience. The fact it’s a console means the audience doesn’t expect everything for free. This is great in that you don’t need to sell so many units to make similar money to the millions of free installs you have to achieve on mobile. To get those free games to work it often feels you're pushed to use certain proven formats that increase conversion and retention etcetera. It also changes the types of games you can make. To get those free games to work it often feels you're pushed to use certain proven formats that increase conversion and retention etcetera. More traditional linear games don’t usually work well in mobile models, yet for us that’s what we have the most interest in making so it opens doors for ideas you might not otherwise consider. We didn’t know the Switch was going to be announced, but it felt like it was going to be at least a decent step up from the Wii U and we figured the more limited competition would give our game visibility. Obviously, it was more of a hit than that which made visibility harder but it seemed to pan out well for us regardless. I think a lot of developers have heard the success stories and the sales numbers and that’s a big driving factor for indies being interested. I hope it doesn’t become too saturated in the future. Finally, the App Store and particularly the Google Play Store are getting harder to make money from. With only two options as a developer you always want to find more storefronts with an audience. Mobile and console are quite different marketplaces to easily put the same game on both but the Switch’s form factor and specs make it seem similar enough that it’s worth considering. It's quite easy to understand. The Switch is quite easy to develop on as a platform and is not saturated yet with a large audience who likes indie games. So it may sound like a perfect opportunity for indies to make money from their creations. The Switch may be the last platform where small developers can have a hope of commercial success. Mobile devices are saturated by big companies releasing a lot of cheap, addictive and free casual games each month. Steam has been overcrowded for a long time now and expecting profits with indie games on that platform is more or less the same as expecting to win the national lottery. Other platforms are globally not very indie-games friendly due to their online shops and high development costs. In less than a year, Switch may also become a saturated platform, but from now, we have to enjoy the opportunity! We will! Our next game, a strategy game called Total World War, will be released on Switch during the first quarter of 2019. We changed some aspects of the game to make it suit Switch the best we can as soon as we had been approved as Nintendo developers. So it will become our major platform to release on. That aura surrounding the Switch, the games, the media approach and the fan love. It's intoxicating. As I think everyone else has been saying, it's not an overly saturated market yet, which makes the platform very appealing. For me though, there's a more abstract reason. The Switch became my sleeper hit of last year. I received mine in June and it softly infiltrated my gaming life. Over the next few months, Switch had become my primary gaming platform. It's so versatile and pretty and fun. You know, the way gaming is supposed it be. That aura surrounding the Switch, the games, the media approach and the fan love. It's intoxicating. You want to be a part of that world and indie developers are perfectly positioned to jump in. Absolutely. We have two titles in development right now. Just a side note from me on this one as we haven’t done any work on the Switch. Yet. It’s looking like a good platform for indies simply because there are enthusiastic players who want to actually pay for games and there’s room for new games on it. We’ve definitely been tempted to do something for the platform, but just can’t quite risk the costs yet (the devkits are sanely priced but the potential cost of QA and marketing for a Switch launch are just too much for our current bank balance). 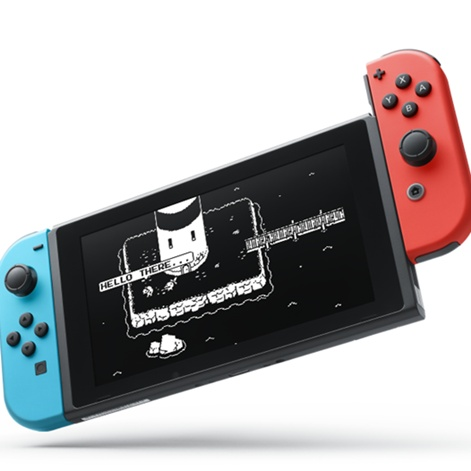 Secret Exit game artist Minna Eloranta will be discussing the Nintendo Switch at Pocket Gamer Connects Helsinki 2018 (September 11th to 12th), and how the studio self-published Zen Bound 2 on the system across all regions. Are codeless development tools making the mobile indie development scene stronger? Where do indies and innovative ideas fit in the current mobile games market? Are indie developers interested in releasing games on the Nintendo Switch? How useful was GDC 2017 to an indie mobile developer? What does Apple Arcade mean for indie games developers?